Radicular Pain – Do you have it? Radicular Pain – What is it and do I have it? Leg pain can sometimes include other symptoms like numbness, muscle atrophy or being less reactive. Alternatively, can there be a deeper underlying issue? Radicular pain is one that radiates deep to lower region of the body, down to the spinal nerve root. Compression, inflammation or injury to a spinal nerve arising from conditions such as a herniated disc, foraminal stenosis or peridural fibrosis are all causes. Most complaints surrounding this type of pain are usually labeled as sciatica, or radiculopathy. This is pain that reaches through the sciatic nerve down the thigh. It can also further into the calf or foot if severe enough. This sounds like me! How do I know for sure? Reach out to your primary care physician to schedule an appointment. First it is important to rule out other possible conditions. Other contributing factors can cause similar symptoms. There is no way to know for certain until your primary care physician assess all of your complaints and medical history. What if it isn’t working? If alternative medicine isn’t working, we first recommend exploring other alternative treatments. These include speaking with your trusted Chiropractor or Acupuncturist. If that route does not provide optimum relief, then you may need to speak with your primary care physician. Your doctor may discuss decompressive surgery, such as a laminectomy or discectomy. It is very important to note that alternative care methods take time and effort. If you do not feel relief from a Radicular pain after 1 session, do not be discouraged. Give yourself several months to work toward improvement and healing. The body will naturally respond to these methods over time. Sciatica – The Struggle is Real! Sciatca – What is it really? A great many patients in Tigard struggle with sciatica pain. Here you will get to know the truths regarding sciatica so that you may better assess when proper treatment is necessary. This large, long nerve in the human body emerges from the spine out of the low back region. Running through the glute muscles, it is the longest nerve as it travels down to your lower leg. Its primary function is to maintain the muscles within that area. The sciatic nerve provides sensation to the entire lower half of your body. This includes your thighs, legs and even areas of the feet. Sciatica is when the inflammation occurs within this nerve causing pain to resonate from it. This pain is most common amongst individuals over the age of 30 who have suffered nerve and disc damage, and/or those who work very physically laborious jobs (such as construction workers or farmers) are more likely to experience sciatica pain. When pain shoots constantly down the nerve within the lower region of the body, and is noticeably persistent on only a single side of the body, this is a clear indication of Sciatica pain. This pain can be experienced in many ways. Patients may complain of a tingling sensation down the legs, and even an aching or burning. Sciatica is commonly expressed within a very specific area of the body. Nausea accompanied by the feeling of pins and needles in the lower extremities, or weakness, is a common sign of onset sciatic symptoms. Sciatica generally comes on slowly and progresses over time. It does not often start with severe pain. The discomfort is typically exacerbated by sitting for extensive periods of time, or the repeated bending to lift an object. Even a constant bought of sneezing or coughing and sudden movements can irritate this major nerve. Sciatica diagnosis starts with your local chiropractor or resident physician. They will be able to look at your medical history as well as your descriptions of the pain to decide whether your pain is consistent with sciatica symptoms. A complete neurological examination is also a necessary action to place specificity on your low extremity. Your strength, reflexes and any accompanying pain resulting from specific movements will all be a necessary consideration. More commonly, a conservative approach, such as chiropractic treatment, is highly effective. Sciatica can be caused by a variety of underlying issues. Treatments will vary based on the cause. Our treatments are not invasive, and excludes surgical procedures and medications. Our approach is focused on minimizing pain by addressing inflammation, spinal issues, and significantly improving range of motion. Most of the time low back pain is not caused by serious disease, but rather problems based on overall movements from poor body mechanics. Many times a strained or sprained low back has a series of joints not moving correctly which increased the risk of the injury occurring. A combination we tend to see is not only incorrectly moving joints, but also poor body mechanics when performing activity. Example: patient bends over to pick up child or dog – immediate low back pain resulting in trip to chiropractor. We not only need to fix the joints that weren’t moving correctly, but now the resulting joints and muscles that are seized up from the injury. Then when things are calmed down more we can assess how they are bending and modify this. Very rarely is low back pain something as simple as “take an aspirin and rest.” This is the largest difference between medical doctor management of low back pain and sports chiropractic management. Why did this disc herniation happen in the first place? Usually it’s after a twisting or bending motion which causes it, but why did this basic motion cause a total failure in low back structure? Usually it’s due to one of the discussed causes above. Overall, poor body mechanics are the cause of a blow out and ultimately an MRI will be necessary. How is our Clinic better than others? We a lot more comprehensive care than more basic chiropractic care. Special treatment strategies and rehabilitation formats often associated with physical therapy are a daily base for our work here. The chiropractic college here tends to keep a lot of students after they graduate. The market here is oversaturated with chiropractors. Just like in any free market, the more competition tends to mean better results for the clients. Low Back Pain CAN be helped! 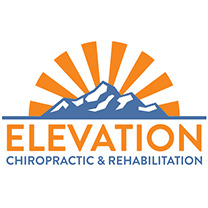 We have already touched in an earlier blog about the treatment of neck pain with chiropractic, and the differences between standard (vanilla) chiropractic vs. sports medicine (rainbow flavored). Let’s talk about low back pain. Both of these areas are so very important, and places that many medical practitioners overlook in treatment of low back pain. Chiropractic (especially sports med) not only looks at these areas for joints that aren’t moving correctly….and thus treated with a chiropractic adjustment…but also from W H Y these areas are needing to be treated. Someone who sits all day and has low back pain: is the problem the low back or is it the mid back? We know the symptoms are in the low back, but the mid back is often the area that isn’t moving correctly because it gets used to being in a slouched position all day. Once the mid back gets stuck in a slouched position the low back starts compensating and before long the low back pain begins. What’s the difference from usual chiropractic? This is just a classic scenario where sports med chiropractic assessment for low back pain really differs from both standard medical and standard chiropractic assessment and treatment. More information about treatment and prevention will be discussed in the future, including chiropractic adjustments for low back pain, as well as in-clinic treatments and home self treatments.